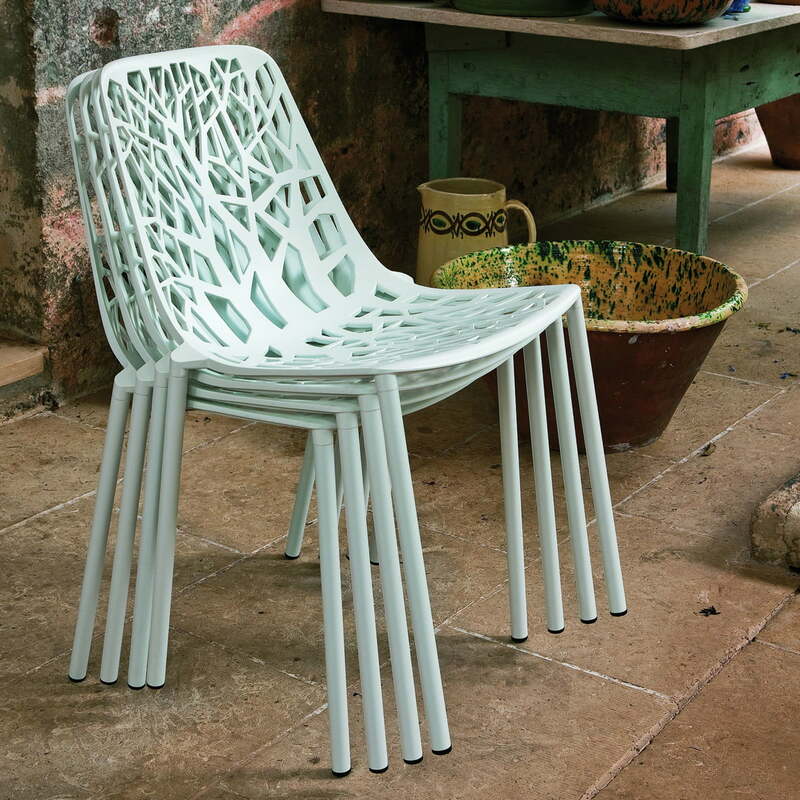 The Forest Chair by Fast belongs to the same name series of chairs for indoor and outdoor use. The indoor version is made from powder-coated aluminium and is suitable only for use in living areas. As a fancy dining room chair Forest boasts a fancy design and the practical feature to be stackable, allowing you to store the chairs in a space-saving way when not needed. Forest boasts high seating comfort and a distinctive organic design. The ramified structure of the shell evokes an associations to a forest, thus the filigree garden chair’s name. For even more comfort, the Forest chair allows to be equipped with single-sided non-slip felt seat cushions. The Forest dining room chair is also available in many other colours on request. 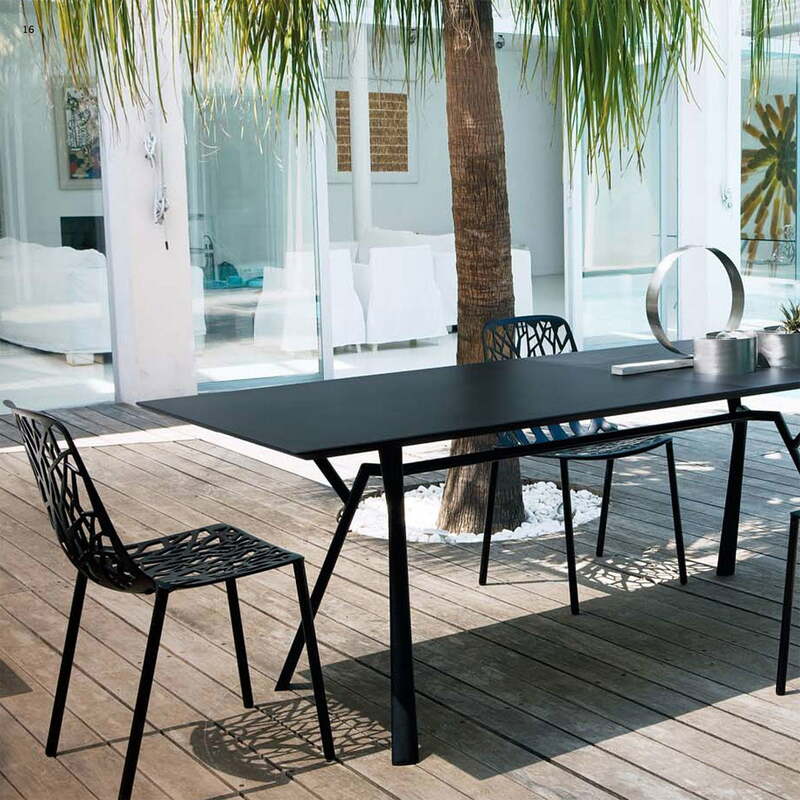 The Forest Chair by Fast belongs to the same name series of chairs for indoor and outdoor use. The indoor version is made from powder-coated aluminium and is suitable only for indoor use. The Forest chair for indoor use by Fast is available in different colours. The chair of the Forest series is stackable and therefore extremely space-saving. Forest boasts high seating comfort and a distinctive organic design. 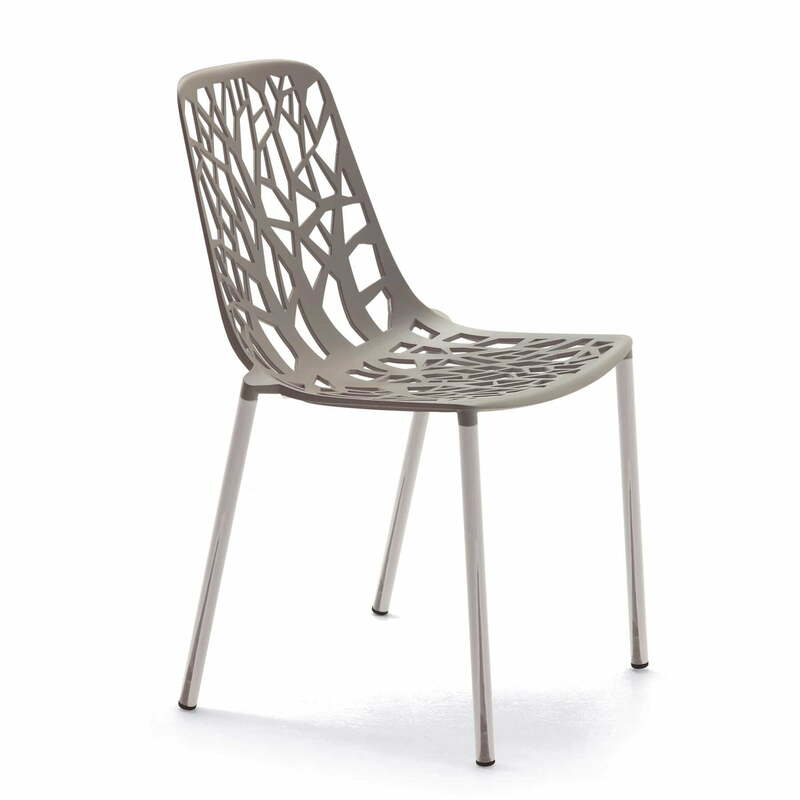 The ramified structure of the shell evokes an associations to a forest, thus the filigree garden chair’s name.